Welcome to the 30 Days of Christmas! Every day between yesterday, October 15th, and November 13th, the Technique Junkie Design Team and I will be celebrating all things Christmas! We have a slew of cards, scrapbook pages and projects to inspire your creativity this holiday season. Have no fear, though, I will post the links to the week's Christmas inspirational artwork in this email every week this month AND I will have a new project for you here, too! All Christmas Stamps are 20% off through October 31st! * Simply use the word Christmas at checkout to receive your discount. 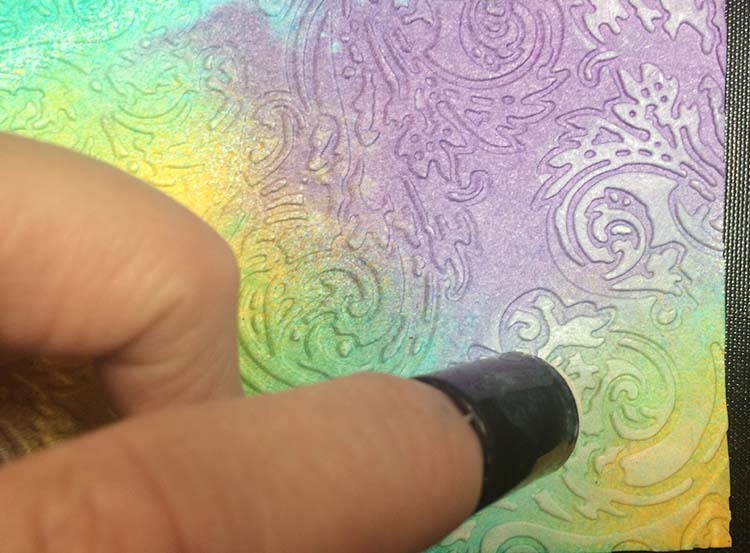 For today's card, I wanted to create a textural, colorful backdrop for my focal image. 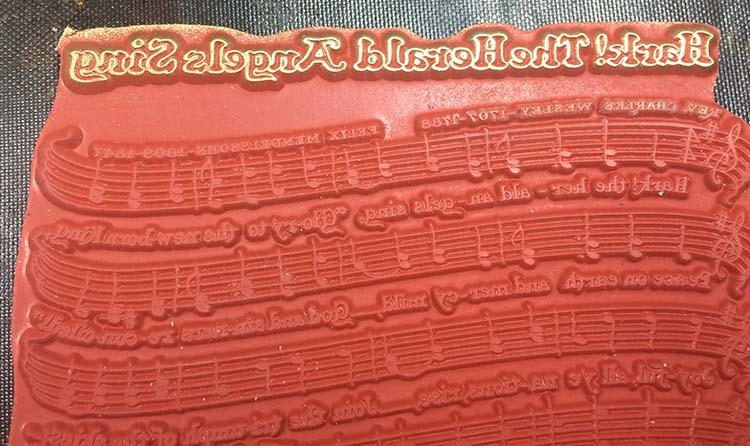 It's been a while since I whipped out my embossing folders and much to my delight, I still love them as much as I used to! 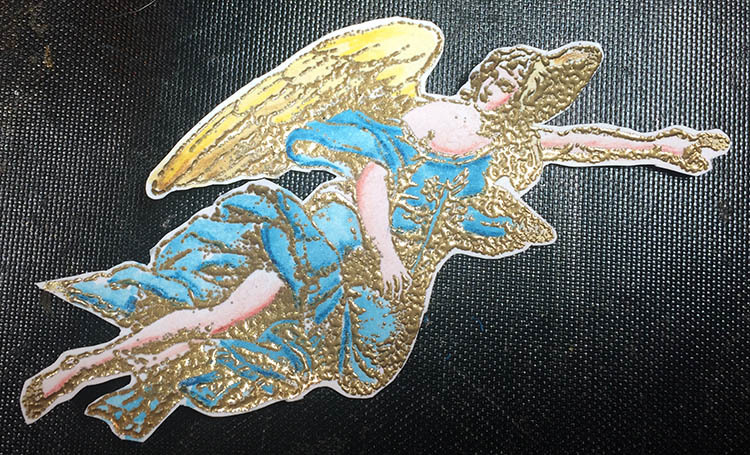 I started by embossing, coloring and coloring the Angel of Ascension stamp for the focal image. 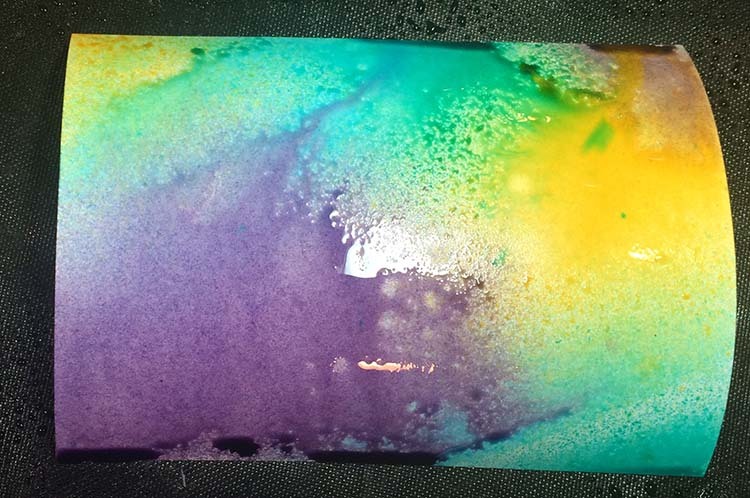 To create the textural background, I sprayed plain white cardstock with Timeless, Peacock Feathers, Concord, and Waimea BayColorations Sprays (by Art Anthology). 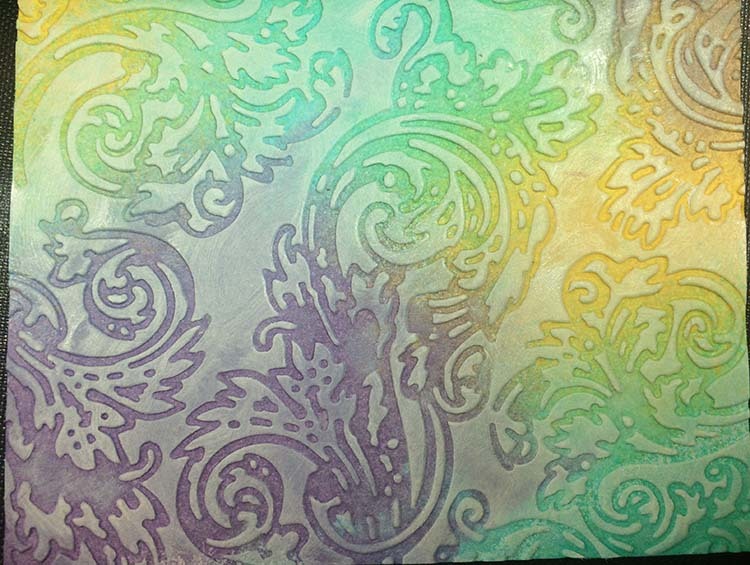 After spraying randomly, I used a paper twoel to remove the excess spray, heat dryed the paper, then embossed it with an elegant swirl embossing folder. 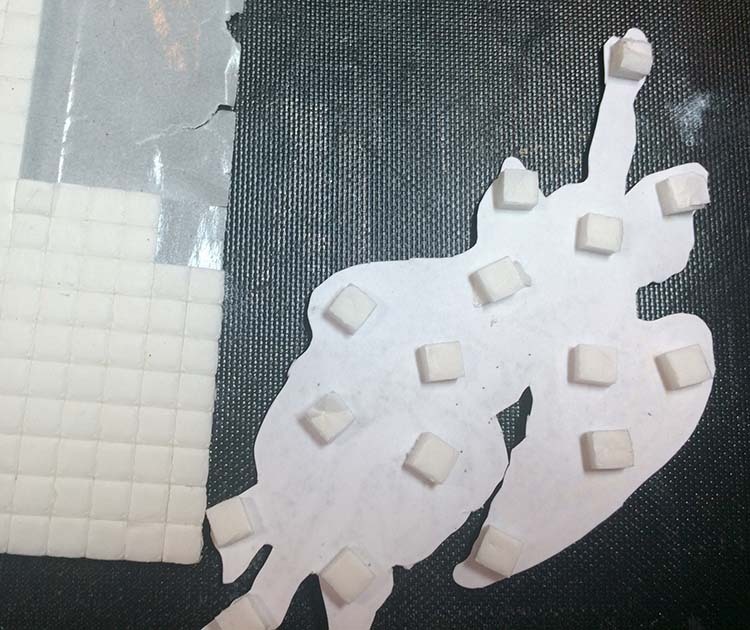 In order to make the texture really pop, I applied white ink to a finger sponge dabber, and rubbed it over the raised areas on the embossed piece. 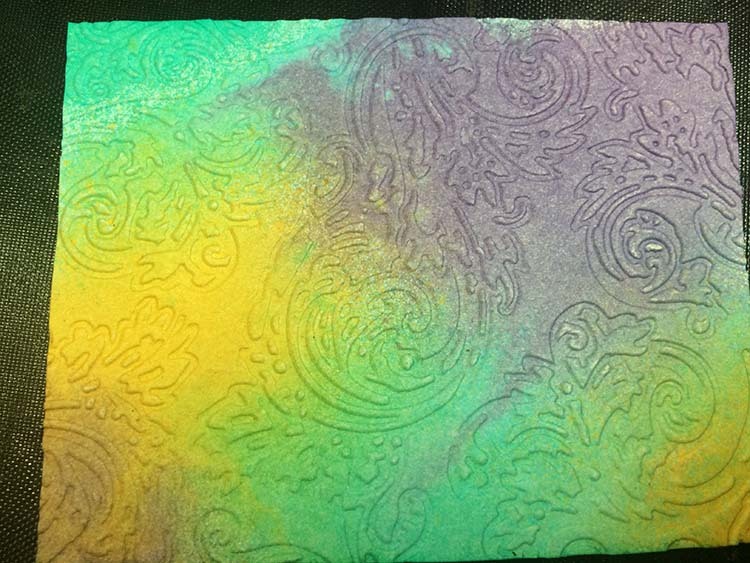 Since I used the embossing folder to dboss te swirls (they are lower than the rest of the card), the swirled areas retain their color while the plain areas are more subtle. 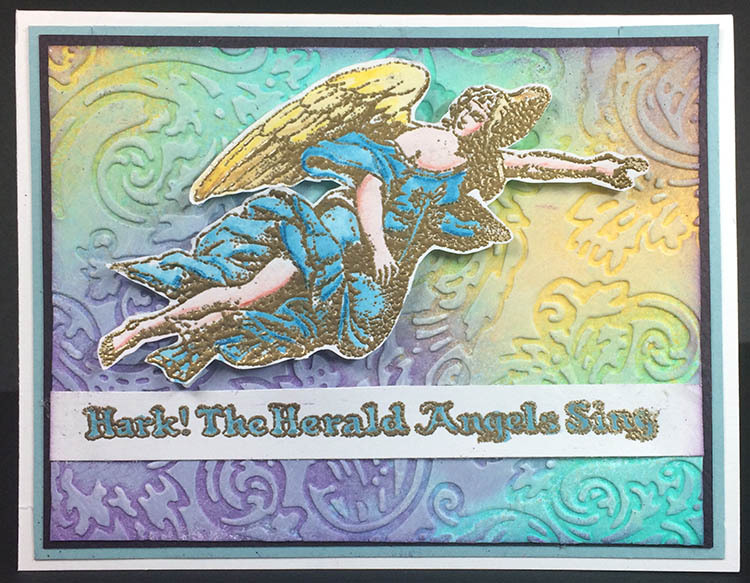 For the sentiment across the top of the card, I thought the title of the Hark the Herald music background was perfect! It is so much fun to use pieces and parts from other stamps in unique ways. 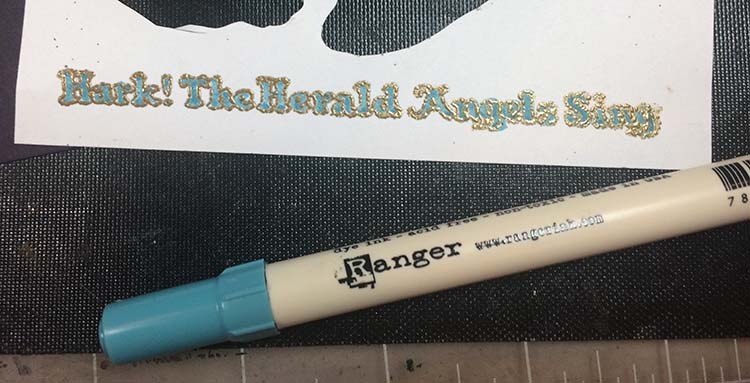 I simply gold embossed the title and colored the letters with a marker. 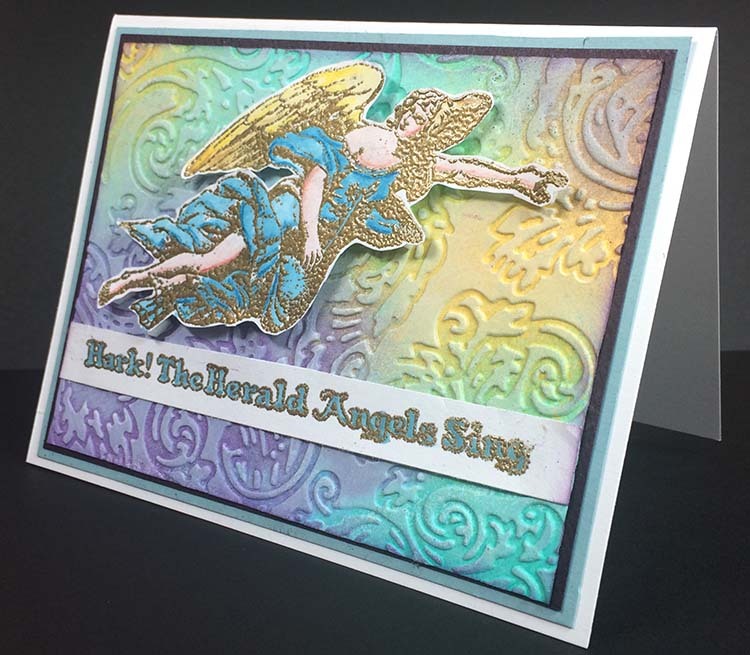 To make the angel "fly," I used pop dots over the back, making sure to place the pop-dots on the small areas of the angel so that nothing flattened when on the card. I hope you are a little inkspired by today's card!